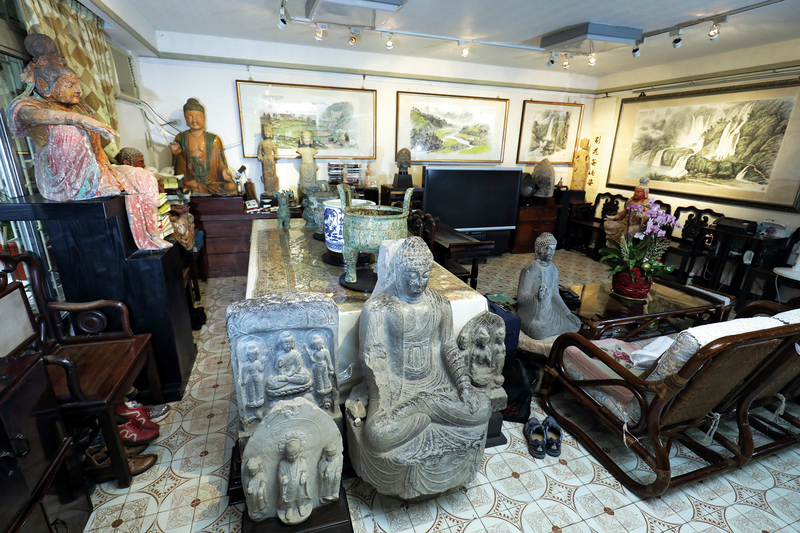 The antiques filling this room give the “Half-Farming Hut” an air of refinement and tranquility. 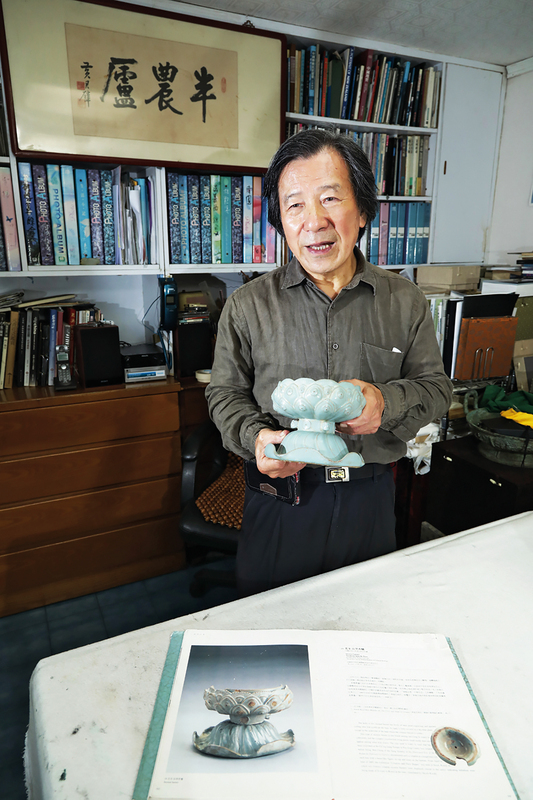 Wang Lan Hsiung holds a sky-blue incense burner from the Ru Kiln of the Northern Song Dynasty. 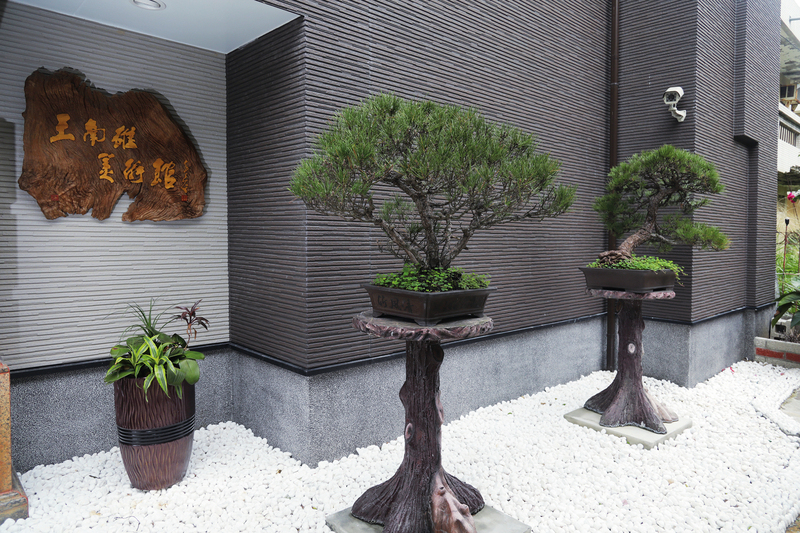 Collecting beautiful objects is one of his passions. 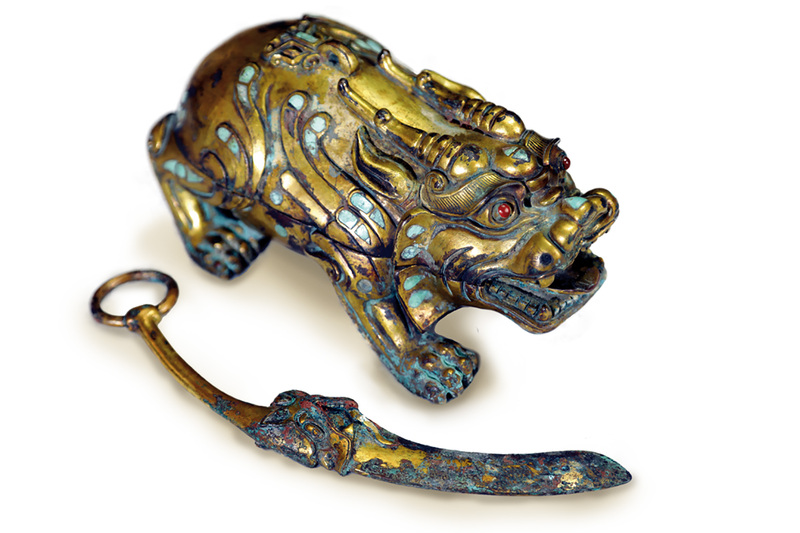 An inkstone box in the form of a mythical beast and a paring knife with a dragon motif, both of gilded copper with inlays, from the Eastern Han Dynasty (25–220 CE). 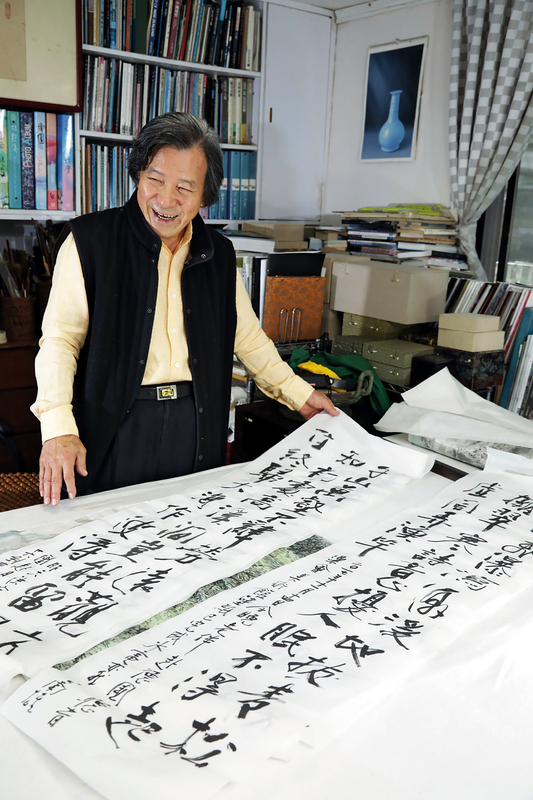 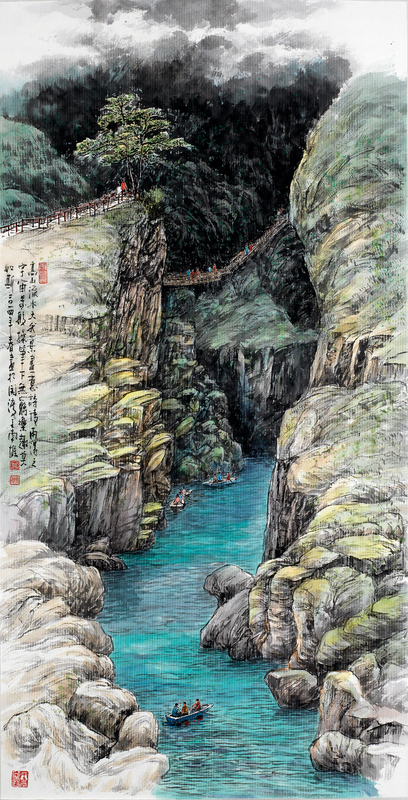 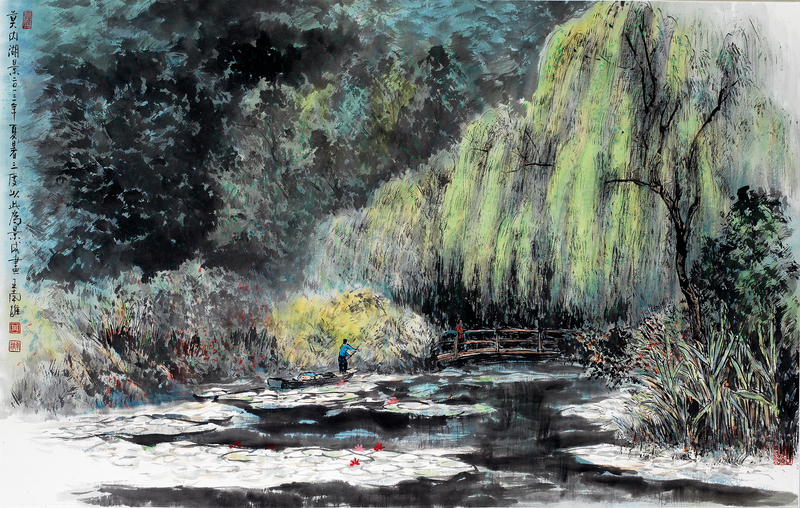 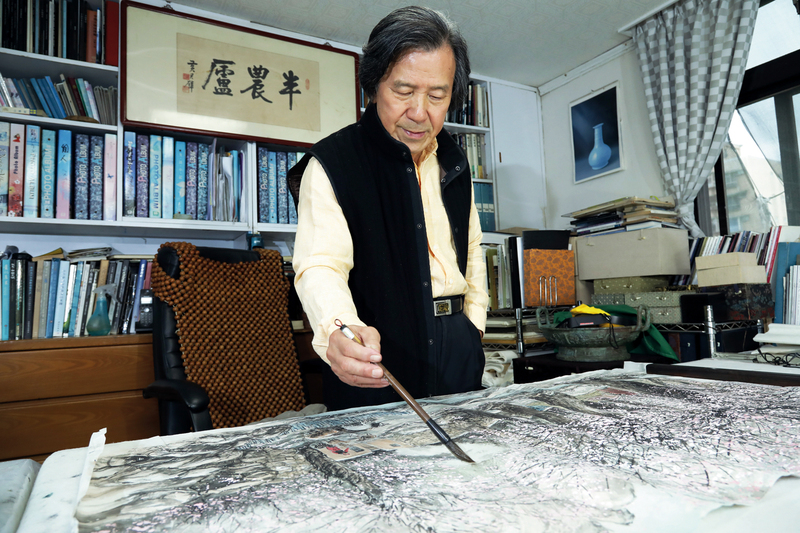 The Wang Lan Hsiung Museum, currently in preparation, will display some of the beautiful artworks that Wang has collected over a lifetime. 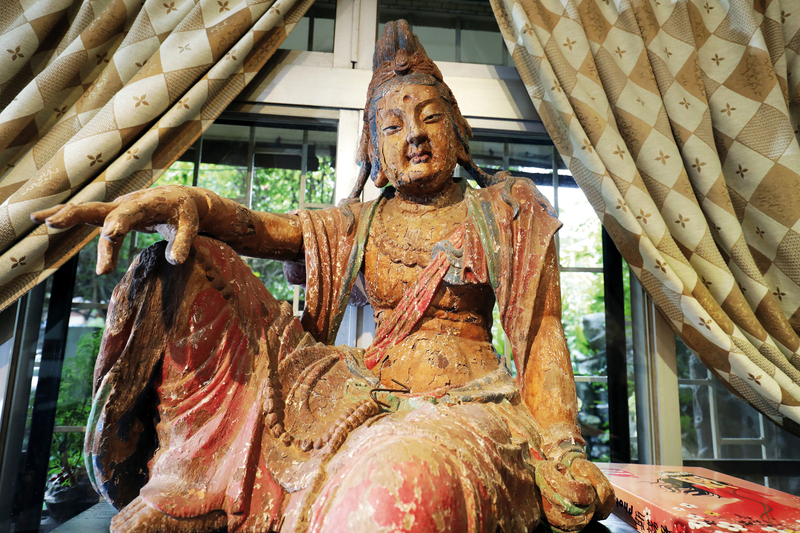 A “Water-Moon Guanyin” seated in a relaxed posture. 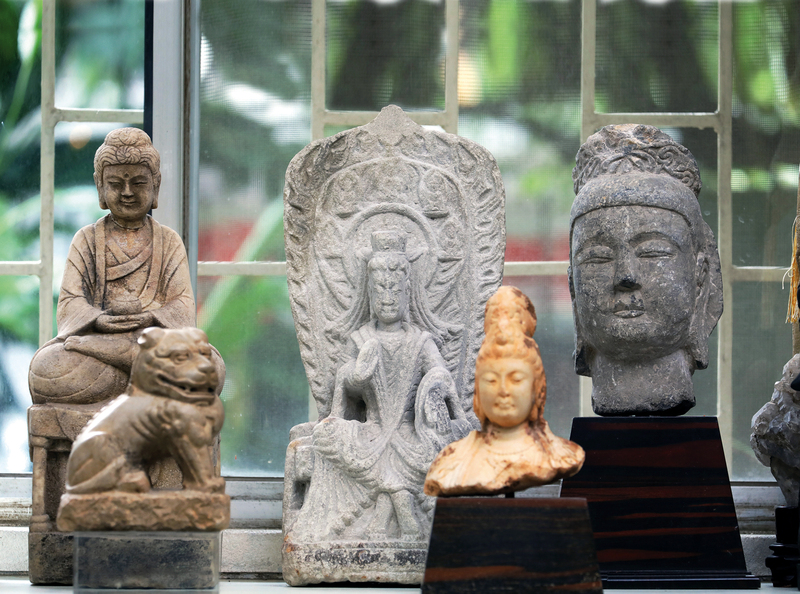 There are sculptures from the Five Dynasties and Ten Kingdoms period (10th century CE) displayed in Wang's living room, works which he has collected over the course of more than 20 years.